Carabiner with strap and matching metal plate. 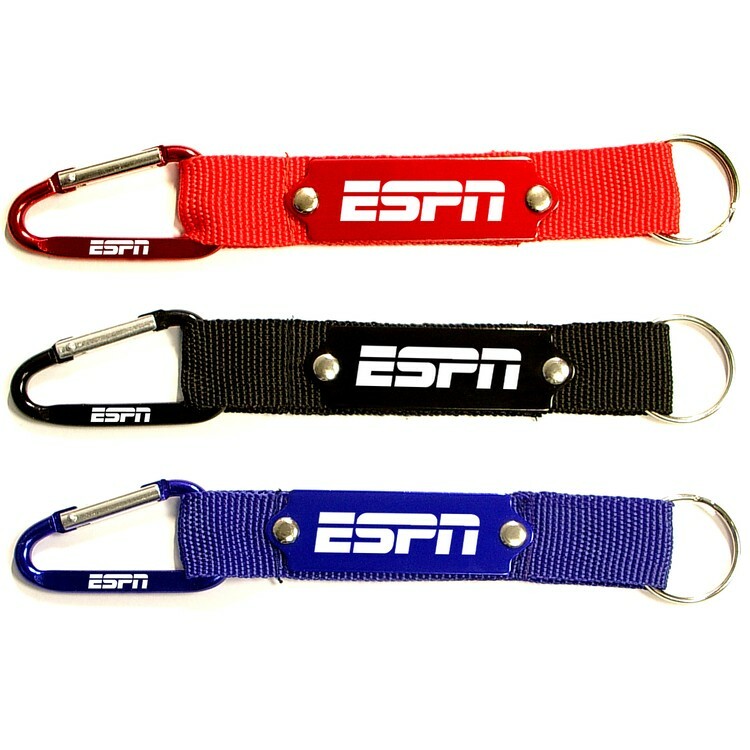 Solid aluminum construction with metallic color finish, Large carabiner size 5cm. Ideal for key holder, key tag, key chain, key ring, travel and self promos. Laser engrave on the plate, pad print or laser engrave on the carabineer. carabiner 1 x 1/8” metal plate 1 1/2 x 1/2"